Trending at $79.96Trending price is based on prices over last 90 days. Trending at $57.75Trending price is based on prices over last 90 days. Trending at $50.74Trending price is based on prices over last 90 days. Trending at $181.66Trending price is based on prices over last 90 days. Trending at $54.95Trending price is based on prices over last 90 days. New ListingBeats by Dr. Dre Studio3 Headband Wireless Headphones - Red, NEW IN BOX!!! 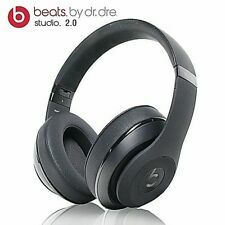 35 product ratings - Beats by Dr. Dre Studio3 Headband Wireless Headphones - Red, NEW IN BOX!! !